Mobil Self-Serve’s Sam Is Back! When ExxonMobil closed its Westport location near Barnes & Noble in September, Sam Hiba promised his many customers he’d keep in touch. Four months later, there’s good news. 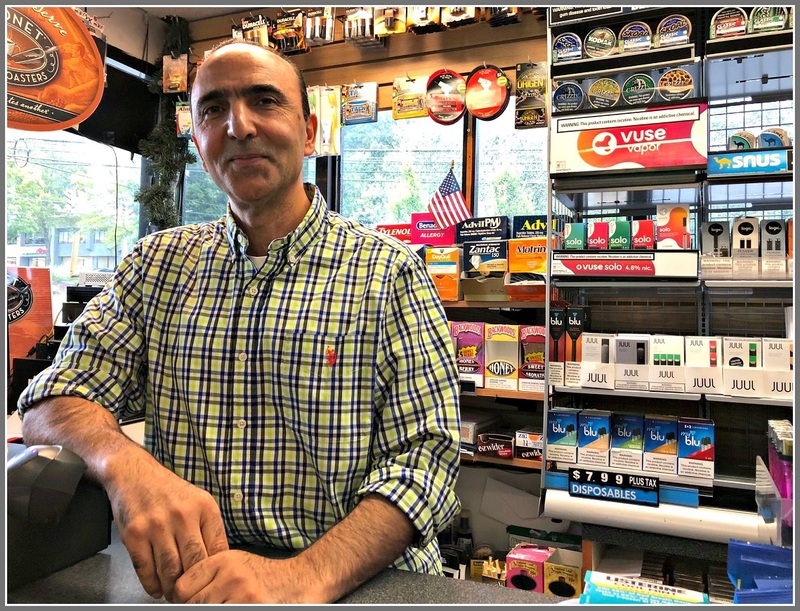 Sam — the popular, generous owner who brightened everyone’s day, while working tirelessly to support his 5 children and on behalf of refugees from his native Syria — is now a partner in the Global station right off I-95 westbound Exit 14 in Norwalk. Global is Sam’s new gas station. The address is 224 Connecticut Avenue. You might want to take the back roads there, though. 95 may be gridlocked — jam-packed with all of Sam’s fans. Sam Hiba, at the Mobil Self-Serve. This entry was posted in Local business, People, Transportation and tagged Global gas station, Mobil Self-Serve, Sam Hiba. Bookmark the permalink. That was my favorite gas station. I was so disappointed to see it closed, and you’re right, he’s a great guy. Even more so now that I know how much he’s helping the refugees. Thanks for the update. I’ve been waiting for it ever since Sam told me you would have one. What a great location, Sam. Now you’re in the front row. Congratulations!